Myco . . . What? There’s a fungus among us. Actually, fungi, all over the place. 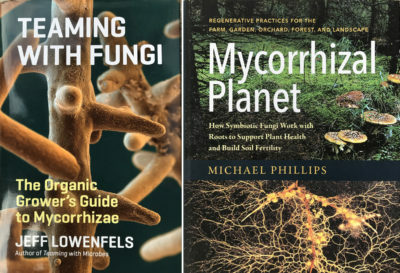 Right now, though, I’m focussed on a special group of fungi, a group that, as I look out the window on my garden, the meadow, and the forest, has infected almost every plant I see. Like so many microorganisms — most, in fact — these fungi are beneficial.